What does research really look like for artists? How to Research offers creative strategies to support a broad range of Art and Design curriculum at GCSE, BTEC, AS and A Level. Developed in conversation with artists and teachers, these resources invite consideration of the meaning and value of research within art practice. They allow space for you to use your expertise to adapt the activities to suit the needs of your students, and to expand the ideas within them in ways most relevant to their chosen subjects. 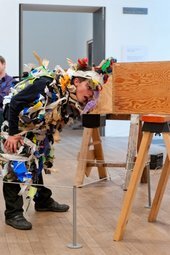 By championing research as an integral tool for developing students’ individual voices and lines of enquiry, the How to Research series aims to support engaged, contextualised, thoughtful investigations into and alongside art and art-making. 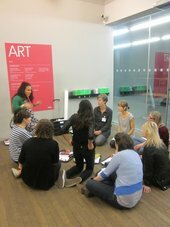 How to Research booklets are also available to pick up at the Schools Desk at Tate Britain and Tate Modern. To further support your students at exam time see our Exam Help pages for more ideas and inspiration.